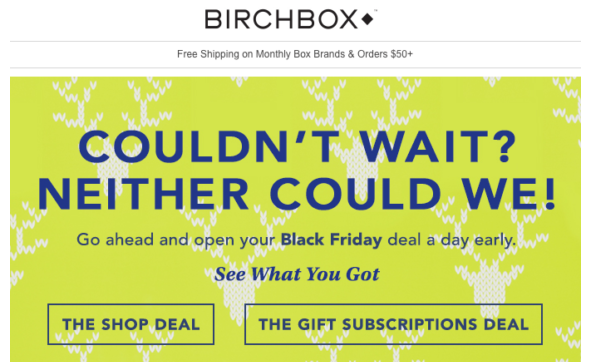 We’re getting very, very close to the Holidays and if you haven’t prepared your Email Marketing Strategy for this absolutely crucial time for sales and conversion, then… you must catch up in no time. The good news is that we’ve searched for a solution to help you achieve just that. In this edition, you have a complete “ultimate” guide for your Holiday Email Marketing – and – 10 ways to freshen-up your Email Marketing using proven techniques. It’s a lot to absorb, so take it slowly and use it as a checklist to better perform your email marketing strategy. Through a very interesting Census Forum, were marketers and experts exchanged ideas and know-how, Jeff Rajeck highlighted some interesting tips for you to refresh your Email Marketing strategies. If you follow through these ideas, you can pretty much leverage up your results on all fields. We’re getting used to have great resources and information from Campaign Monitor and this is just one of these times. At this article, Samantha Ferguson explores an ultimate guide to have your Holiday strategy covered. People who buys online are increasing every year, and since we’re reaching that time of the year where we all are almost obliged to buy something, you really must be on the front row of your potential customers. Don’t you think? Well, that’s it for today! Hope this will help you, or at least arouse your interest in emailmarketing. Have a great day and an awesome weekend!